Faun M. Hoffmeier is a seasoned and recognized professional in the surveyor industry. 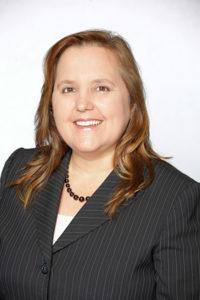 As a managing partner at H&H Survey Consultants since 2009, Faun oversees commercial, construction and residential survey projects, and her work includes proposals, business management and accounting for the Central Florida survey company. Faun has more than 28 years of experience in the surveyor industry. Prior to her current position at H&H, Faun spent 11 years at DRMP, Inc. as a senior project manager and a senior CAD technician. Her responsibilities were both technical and managerial, and there she acquired a deep and holistic industry knowledge. Faun’s surveyor career first began in 1988, when she began her own CAD draftsman company called Computer Drafting. Until 2003, Faun ran Computer Drafting, providing AutoCAD drafting services to surveyors, engineers and architects in the Central Florida area. An avid industry participant, Faun holds memberships in the Central Florida Chapter Florida Surveying & Mapping Society, the National Society of Surveyors and Mappers, and the Commercial Real Estate Women (CREW) – Orlando Chapter. Faun earned her Bachelor’s of Science in Geomatics from the University of Florida, and is a Registered Professional Surveyor and Mapper in Florida.